Ideal for travel, it removes makeup easily, all make up (even waterproof) with fingers while taking care of sensitive skin. Used as Moisturizing Toning Lotion, it completes cleansing, cleans the skin deeply and unifies skin tone by regulating pigmentary disorders. The skin is clean, lightened, softened, it breathes. Used at the morning to wake up and tone the skin. It’s also used at the evening to remove makeup and clean the skin softly. Apply the gel all over the face and neck with your hands, massage the face, the makeup remover turns into milk, and then rinse with clear water or with a damp sponge. Put a hazelnut of mini clean EFFECT® on clean cotton, apply it on the whole face and neck to perfect the cleansing and toning the skin. The skin is clean, softened, more lightened and it breathes. 2 cottons dipped in clean EFFECT® placed on the eyes for 5-10 minutes. It’s refreshes and decongests the eye. mini clean EFFECT® is designed without parabens, phthalates, mineral oils, monoethanolamine, diethanolamine, triethanolamine, silicone and animal ingredients. 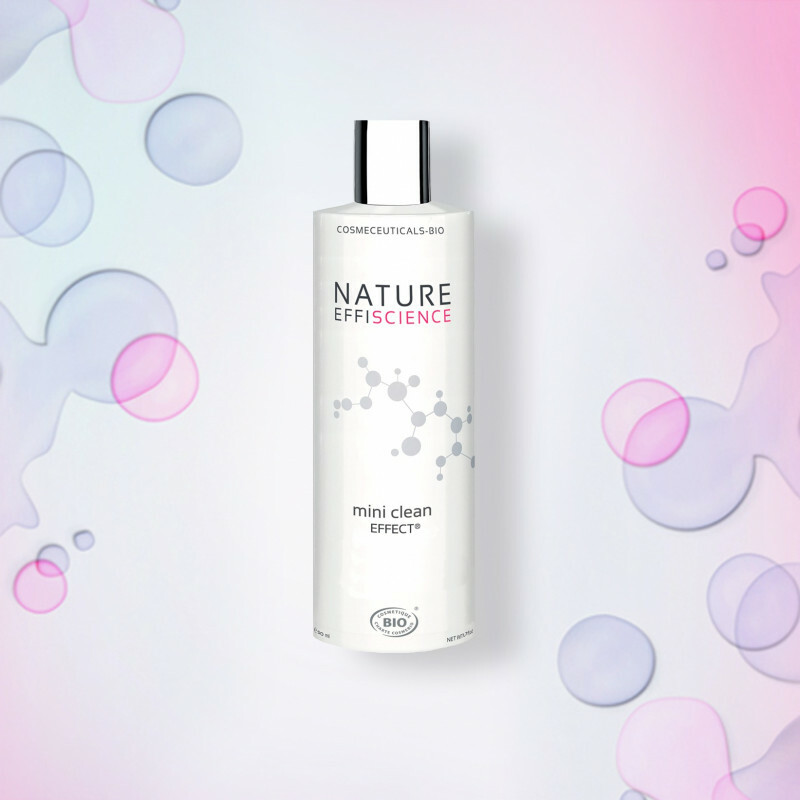 mini clean EFFECT® is guaranteed without endocrine disrupting ingredients in its formula and in its bottle. Cornflower water : Gives a nice shine to dull complexion and appeases sensitive eyes. Marine Criste extract : Evens skin tone by regulating pigmentation disorders. Papaya Extract : Rich in vitamin C for a radiant complexion and E with anti-aging properties.